Yesterday, August 1st a lawsuit was filed in the Southern District of New York by former Fox News investigator and talking head Rod Wheeler against Fox News. The suit, which is partially constructed as an employment discrimination suit and partially as a defamation suit, alleges that one well connected Trump operative and one Fox news investigator conspired directly with the President to advance the false narrative that former DNC staffer Seth Rich was murdered for leaking DNC emails to Wikileaks. The suit alleges that this was done to draw attention away from the narrative that Russian intelligence services hacked the DNC and released emails to Wikileaks. 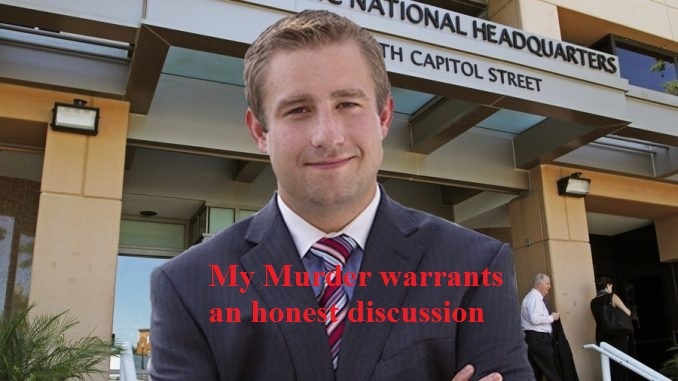 The murder of Seth Rich is unsolved, and although it has been called a botched robbery, not all evidence supports this theory. The Mockingbird investigated his murder and was in possession of the police report within 24 hours of the event and published within 30. A completely different possible motive for his murder was advanced at that time. Hindsight and further investigation since the murder has only increased the number of possible motives rather than eliminated them. The basic story, one of a botched robbery, is a weak theory. Neither Rich's wallet nor his phone were stolen. The only indications for robbery were that a spate of robberies had happened recently in that neighborhood and Rich's watchband was damaged as though someone had attempted to steal it. The basic theory is an attempted mugging, followed by a shooting, followed by a panicked criminal or criminals who quickly fled. The aforementioned basic theory has holes. Washington DC is under some of the most dense surveillance in the world. There were gunshot sensing microphones in the neighborhood. Such devices are almost always paired with cameras. Cameras on police vehicles, streetlights and police personnel all have facial recognition software. A list of suspects could easily have been constructed from who was walking the streets at the time at least by face with ease. Thus the shooter had to have fled by car and the car must have been disposed of quickly. Such a scenario implies planning and at least some resources, such as the ability to steal and dump a car. A person who can do this does not panic in the middle of a botched robbery. The other end of the spectrum, a professional killer employed by an organization also does not stand up to scrutiny. If a professional killer was employed to kill Rich by a large organization there would be a second murder. This would be the murder would be of the person the organization intends to take the blame for the first murder. In short, there was no patsy. There was also no coverup that involved the DC Metro police. I was given police report with no trouble whatsoever. This is not normally the case with suspiciously dead people on the edge of major intelligence stories. The LAPD has lied to me in the case of Michael Hastings and the SFPD has stonewalled me on Barnaby Jack. The DC metro police only delayed because their press office was not sure which murder I was referring to. It was not on their radar and they fell over themselves to be helpful within their guidelines. This was not a high profile murder in their eyes. It was obvious that I was the first reporter to bother getting the police report. Said report will be included for download below. The truth likely lies in between the two. Somebody with little to no experience with murder, auto theft and large scale conspiracy cobbled together Rich's murder with little time to plan and acted alone. They will remain free and blameless as long as they can keep their mouth shut. This, the most likely of scenarios, leaves unfortunate investigators like this author with the widest possible number of suspects because of all the possible things Rich could have done or known to get himself killed. The Wikileaks theory, even with Assange hinting, is not plausible. Julian Assange is reliable when speaking directly. However he has been known to drop hints and trick governments into drastic and embarrassing acts with them before. The theory that the Russians were behind the DNC hacks also does not stand up to scrutiny. American intelligence services have made the claim, but the information they have released has been scant, and where evidence has been offered it has been provably weak and contradictory. After General Clapper has openly admitted to giving Congress the “least untruthful” answer once, his credibility on all subsequent statements is greatly diminished. A person in search of truth can not selectively believe admitted liars when what they say is convenient to a narrative they wish to believe. All spies are liars. They get paid to lie. Clapper is a spy and a liar. Putin is also a spy and therefore a liar. If anyone wishes to believe either of them without independent supporting evidence is being highly selective about the nature of reality and I'd like to invite them to Florida for a real estate deal. The raw reality of any hacking or leak story resulting from the DNC email scandals is that the security of the servers was so weak literally everyone in the building could be a suspect. Bernie Sander's interns once hacked the very same machine literally by accident and it was a major news story in December 2015. What has changed in the past few days and weeks is Trump and Fox have been caught colluding to steer the narrative in a direction that is false in such a ham fisted way that even a Fox News talking head would not go along with it. This is the very definition of fake news. What makes the whole scenario even more disgusting to people who value life and truth is the Washington Post and CNN leading the charge against Fox and the President on this story. CNN has been caught re-writing and vetting stories with the Clinton campaign and is at the center of advancing the Russian Election Hacking theory of a Trump victory. The Washington Post was caught illegally fund raising off the books for Clinton. The fact that Jeff Bezos purchased the Washington Post with the CIA's money in a deal brokered by former CIA Director George Tenet is not helpful to their credibility on intelligence community coverage in my estimation. The allegations made in the Wheeler suit are likely at least partially true. Donald Trump is nothing if not an image conscious micro-manager who has a shaky grasp both the truth and propriety. However, Fox and Trump's actions are happening on an issue and in a climate where both sides of the bipartisan divide have built media cliques around themselves that are at a bare minimum truth challenged. No claim made by any news organization on this case, be they right like Fox or centrist like CNN, would pass editorial muster in at any small publication where I or anyone I know has worked. In the interest of transparency the full text of the police report is posted below.